Are you searching for used auto parts to fix that fender-bender for less? John’s Truck and Auto Salvage, makes it simple to locate and buy used car parts online from our fine selection of disassembled vehicles. We specialize in dismantling of salvageable autos and trucks arriving daily to our auto salvage yard. Once our vehicles have been dismantled of all reusable parts we then make these affordable used auto parts available for you to purchase through our online website, by phone or in person. John’s provides even more great services for your shopping convenience. We offer competitive pricing for transportation of your salvageable auto or truck direct to our warehouse facility located in Kingston, NH. No need to stress about what to do with your damaged or not running automobile. We take care of all the details and put some dollars in your pocket. 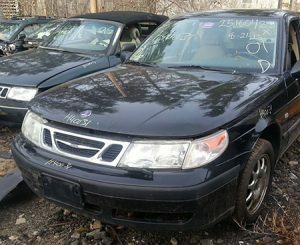 Note: we do not buy scrap metal-we buy salvage vehicles only. We sell bulk used auto parts to body and repair shops for resale and also individual used car and truck parts to the average consumer. No order is too big or too small with us. From over ten thousand used car parts including complete Engines, Transmissions, Tires, Brake assemblies, Exhaust Mufflers, Bumpers, Windows much much more and all backed by our incredible 90 day warranty. We feel extremely confident that we have exactly what you need. If you can’t seem to locate what you are looking for our customer satisfaction team, with over 30 years’ experience can assist you to find it in a snap. If you don’t exactly feel like a recycled auto part fits your needs we can order both new and aftermarket parts for your vehicle. Wait… on top of that! We go even further by selling our very own inventory of used autos and trucks. We don’t want to be just another junkyard near me in your browser, we want to be your Number#1 go to for all of your car care needs. We just know you are going to appreciate shopping with us! Our inventory of vehicle change every day,we will have that used part you are looking for. If we don’t have it we can get it. We want your used vehicles. We pay top dollar and in most cases we will come to your location and pick it up for free. We have Tens of Thousands of parts available and if we don’t have it we can order you an after market part. We are more than happy to ship your used or aftermarket parts and components to you, large or small. Have questions about our services, call and speak to any one of our friendly and knowledgeable team members. Our goal is to provide all our customers with exceptional service. We offer extended warranties for up to 1 year on all our parts. Ask one of our friendly team members, for the details.